George McGarrah was one of the earliest residents in the area. He came to Collin County about 1842. His twin brother, John, started a store and the town of Buckner. The historical marker for Buckner is on US 380 about 1 ½ miles west of US 75. Buckner was about 2 miles northeast of this cemetery. This cemetery has a historical marker. 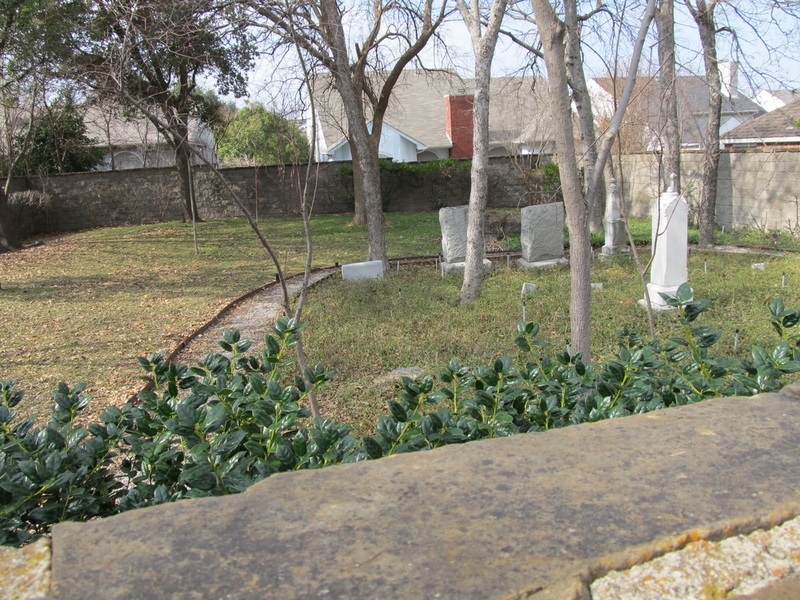 The descendants of George McGarrah set aside 1/7 acre of land to be used for the family cemetery when the land was sold. The deed is listed in Vol 330, p 195. This area was once called the Bowlby community. 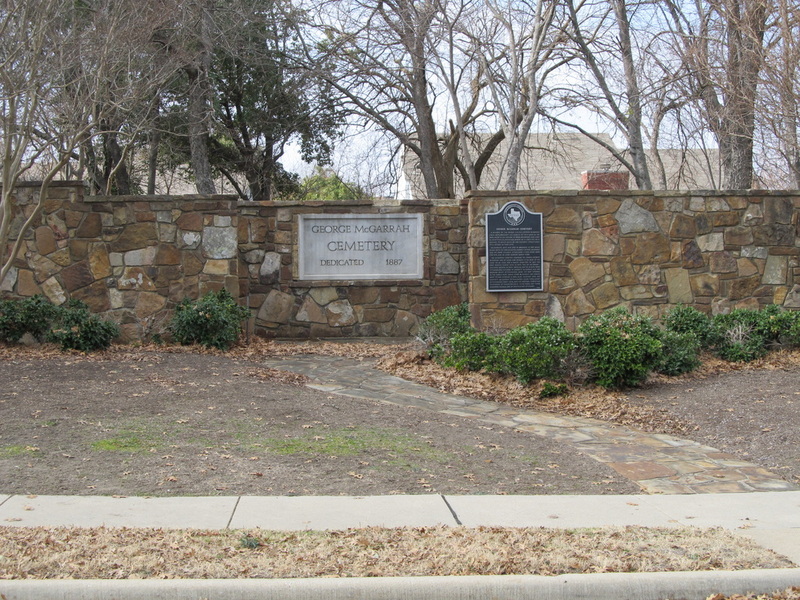 This cemetery was the subject of a court case several years ago when the developers of Stonebridge Ranch wanted to remove the bodies and re-inter them at Pecan Grove Memorial Park in McKinney. They said the cemetery would interfere with their golf course. The relatives won the case to keep the cemetery here and the developers built the 6-foot stone fence around the cemetery. The cemetery was very neglected at that time. It is well taken care of now. A neighbor has a key to the cemetery gate for visitors. This cemetery has an active cemetery association as a result of the law suit. I have heard this cemetery referred to as the McGarrah/Ottenhausen Cemetery. George McGarrah's daughter, Harriet, married Henry Ottenhausen (Ottenhouse). There are 10 people buried here, including George McGarrah and his wife and 5 Ottenhausens. STILL EXTANT IN THAT CITY. THIS SITE, AND HE LATER MARRIED SARAH FORD. UNMARKED BURIALS, ONE OF WHICH IS THAT OF A SLAVE.